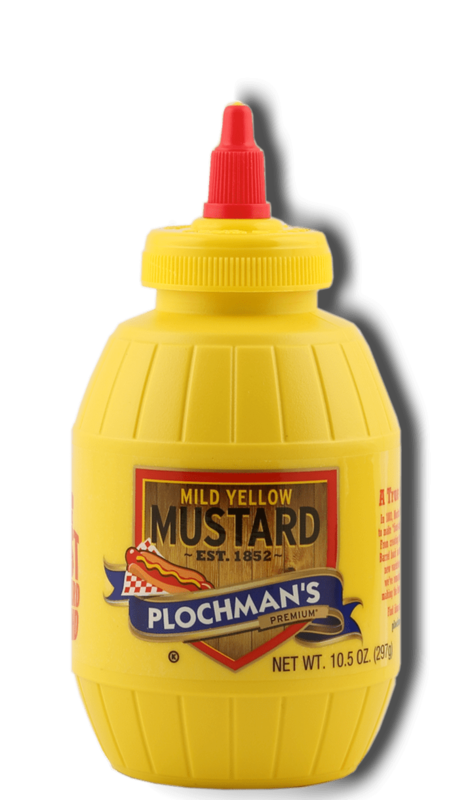 Plochman's Good-as-Gold Mustard Burger Sliders contain lean ground beef, Mild Yellow Mustard, cheddar cheese, onion soup mix, and mini dinner rolls. Combine ground beef, mustard, cheese and soup mix. Cut rolls in half horizontally, keeping bottom rolls connected. Remove top layer of rolls. Place bottom rolls in baking dish. Divide beef mixture evenly among buns. Add top rolls and cover tightly with foil. Bake until meat is fully cooked, about 30–40 minutes. Cut rolls apart and serve.